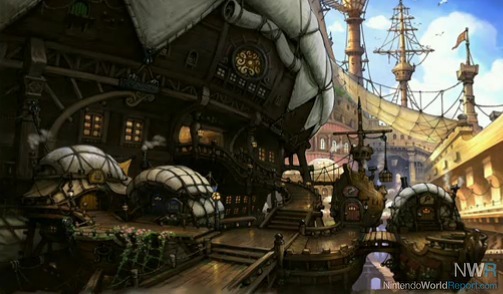 I don't have a 3DS, but when Bravely Default: Flying Fairy comes out in the US (it better) I want to try it. 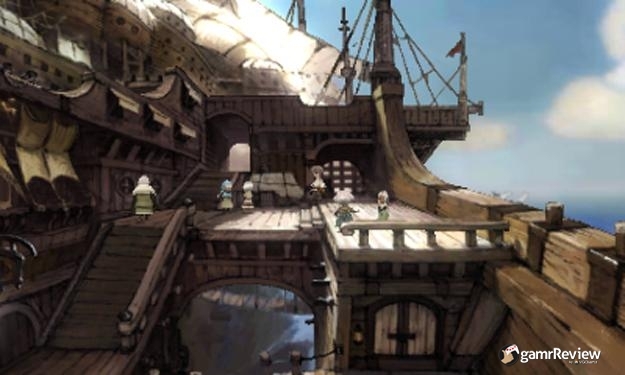 I played the previous game it's a sequel of (Final Fantasy the 4 Heroes of Light) and simply loved it, now using the same artwork and enhancing it simply makes it better. That does look like a cool game, i'll have to play the original first though. Anyway i'm looking forward to Guild Wars 2. Ghost Recon: Future Soldier looks like it will replace BF3 in my PS3's disc drive when it drops. By then BF3 will probably need a monthly subscription. I'll be buying Pokemon Black and White 2 though i would prefer to see a remake of Pokemon Saphire. I remember seeing somewhere where they said that there wouldn't be much of a benefit to remake 3rd gen. Mostly because you can still transfer Pokemon from 3rd Gen.
And a GF employee tweeted that they had "no interest" in remakes from that generation. I think it would be cool to see, but RSE are still very playable games. That seems like it was a major reason why they started doing remakes in the first place. RBY were extremely glitchy games, and while GSC were better there was still a ton of room for improvement in playability. Well I think it's more with the availability of the Pokemon. You can still transfer RSE pokemon to your DS games. They remade gen 1 and 2 because you couldn't get the Pokemon. That's true. Although with a newer DS that's kinda tough to do. That's a real shame that they're not thinking of doing a remake for Saphire, that makes me want to pull a sad face. Personally I wasn't that big of a fan of the 3rd gen games. Don't know if it's relevant, but I'm looking forward to finishing my own game. How far are you in it? I know right? Even though I was using RPG Maker I made a game for Mxtabs ages ago. I finished it in 2 weeks, but I spent several hours each day to get it done. I'm working on my own RPG with it too, but for some reason I can't have myself finish it yet. I did finally put in tons of work after not touching it for a year. Grungie wrote: I know right? Even though I was using RPG Maker I made a game for Mxtabs ages ago. I finished it in 2 weeks, but I spent several hours each day to get it done. Yeah, I'm using the sprite/textures from RPG Maker >_> but I'm programming the game myself. I wish I was able to create sprites/music. Do you still have your finished game? Think I can try it? You might not recognize some of the username references, but the evil enemy is UG. UG was our rival since Mx and UG are both tab sites. I don't think I fixed the bugs or typos. I tried making a game years ago using a program called "The Games Factory", it didn't end very well. How far did you get until you gave up? I'll post screenies of my game when it becomes presentable. I might consider scoring your game. Grungie wrote: I might consider scoring your game. Grungie wrote: How far did you get until you gave up? I started making a 2D platformer and it just ended up being a complete and utter disaster. Glitch heaven.